Stuttgart/Hannover, Germany. Cleaning parts and surfaces costs money – just how much money depends on the required result. Whether the job is simple degreasing or rather cleaning to meet strict technical requirements, achieving the necessary quality quickly, reliably and economically involves factors which go beyond the cleaning method used, including the selection of the proper cleaning media and containers and subjects like bath maintenance and packaging of the cleaned parts. 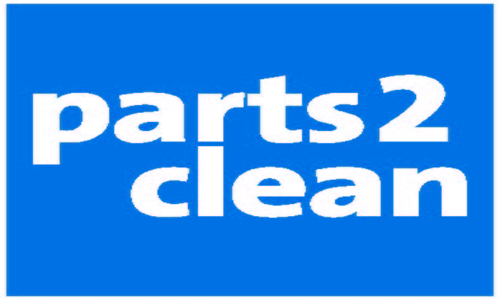 You can explore all these aspects at parts2clean at the Stuttgart exhibition center from 9 to 11 June 2015. 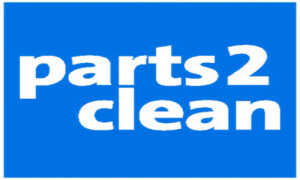 “Whether we’re talking about the automotive industry and related suppliers, medical equipment, aeronautics, precision engineering, optics or electronics – today virtually every sector has strict requirements for component cleanliness, and this places significantly higher demands on cleaning,” says Olaf Daebler, in charge of the parts2clean show at Deutsche Messe. To play it safe, an “as-clean-as-possible” approach is frequently taken, which has an impact on cost and therefore on competitiveness. The remedy is to take a suitable cleaning approach that meets all requirements and to optimize cleaning results while reducing costs. “As theflagship trade fair for its sector, parts2clean presents a comprehensive scope of products and services that address every aspect of industrial parts cleaning, from systems and media to bath maintenance, analytics for cleanliness control, corrosion prevention, protection and packaging,” explains Daebler. Wet chemical cleaning processes are the method of choice for the majority of industrial cleaning tasks. Here the dissolving capacity of the chosen cleaning media has a decisive impact on operating costs, quality and the stability of the cleaning process. The core principle that applies to media selection is “like dissolves like.” This means that solvents are normally used to remove oil-based (non-polar) contaminants such as cutting oils, grease and wax. Aqueous cleaners are generally used to remove water-based (polar) contaminants such as cooling and lubricating emulsions, polishing compounds, additives, salts, abrasion and other solids. Modified alcohols with balanced oil- and water-solubility are able to remove both non-polar and polar contaminants. There is no magic formula for matching cleaning processes or system and process engineering to a particular scenario. They must be developed with a view to the overall manufacturing process. The following factors play a role: What materials are being treated? At what point in production do the parts get contaminated, and with what? Must this contamination be removed immediately, e.g. to ensure proper results in the next processing step? Does processing involve a variety of materials that can lead to cleaning problems if they are mixed? Does the cleaning of parts made ofvarious materials such as aluminum, steel, titanium, carbide or ceramic create a risk of cross-contaminationin the given facility? The answers to these questions can be used to arrive at a cleaning solution capable of optimizing both costs and results.